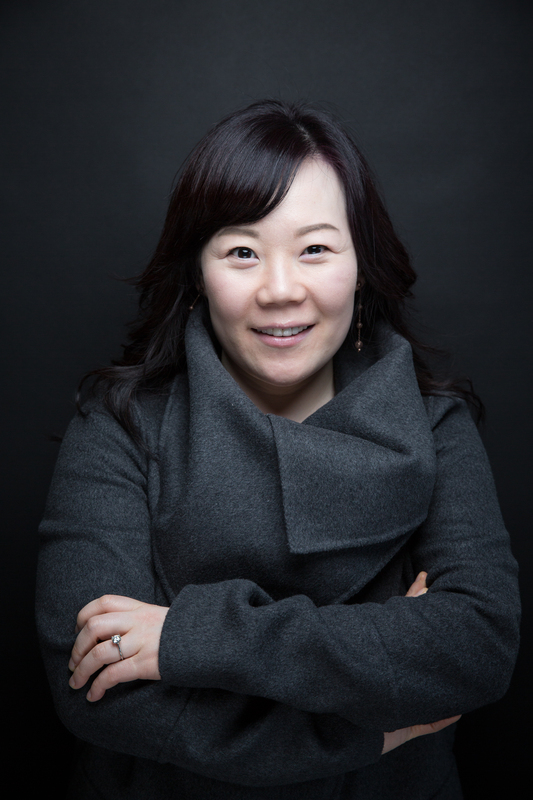 Dr. Park's current program of research stems from her early work in evaluating the impact of early childhood policies and programs on children’s development and parenting practice. Under the auspices of the National Forum on Early Childhood Programs and Policies, I joined a multi-university team of researchers to build a meta-analytic database of nearly six decades of rigorous impact evaluations of ECE and parent support programs. While causal inference is central to answering many policy-relevant questions, experimental evaluation can only tell us whether a treatment causally affected an outcome but they cannot tell us how and why such an effect occurs. Greater attention in the field of ECE has been focused on impacts than processes. To better understand “active ingredients” or mechanisms in these programs that enhance the quality of early learning experiences, she conducted a secondary analysis of a large-scale randomized study of Head Start as part of a larger project funded by U.S. Department of Health and Human Services. Findings from this study suggested that Head Start, our nation’s flagship preschool program serving close to 1 million low-income children and families, increased levels of non-dominant families’ engagement in parent-child learning activities as a pathway to improving their children’s vocabulary, reading, and math skills. This work was jointly funded by the Administration for Children and Families (ACF) in the U.S. Department of Health and Human Services (# 90YR0049/02) and the Julius B. Richmond Fellowship from the Center on the Developing Child at Harvard University. Dr. Park examines questions of how and why through process evaluation studies and more recently, research-practice-policy partnership centered on problems and opportunities of practice generated in real-world settings. Emerging work in improvement science has shaped an exciting direction for generating breakthrough innovations in the early childhood field. With a broad-based support and expansion of early education across the nation, more children are enrolled in public prekindergarten (pre-k) but there is a concerning lack of policies to ensure high quality classroom experiences. In one of her current projects, the Partnership for Pre-K Improvement (with Dr. Gail Joseph) with Bill & Melinda Gates Foundation support ($10,001,795 in grant funding), the team seeks to build research-practice-policy partnership to anchor systemic support for states to develop infrastructure capacity to continuously improve the quality of publicly funded prekindergarten (pre-k) in Oregon, Tennessee, and Washington. She is leading a team to design and implement the multi-year case studies to investigate (1) how these states develop equitable, cross-sectoral partnerships for continuous quality improvement and evidence-based decision making; and (2) how contexts of state pre-k (governance, leadership, advocacy, fiscal systems, workforce development, and politics) facilitate or impede quality improvement efforts. This will be one of the first large-scale, cross-state studies to investigate the impact of state context on pre-k quality improvement, and generate lessons for advancing equity and quality at scale. Applying her work to global contexts, she collaborated with Hirokazu Yoshikawa, the Yale Child Study Center, and UNICEF to conduct a process evaluation of the policy architecture, governance, and program implementation of diverse ECE models (home-based, community-driven, public preschools) in low- and middle-income countries and their efforts to improve equitable access to high quality care and education for the most vulnerable children. In efforts to build the field’s understanding of ECD governance in global contexts, we synthesized our cross-national analysis to present a conceptual model for strengthening and integrating ECD services at local, regional, and national levels. This work also resulted in working papers, invited talks, and policy briefs with recommendations that were incorporated into Cambodia’s inaugural national action plan on early childhood care and development. Decades of scientific evidence suggest that high-quality early education benefits all children, with substantially larger gains in learning among DLLs in low-income, immigrant families. However, much work is needed to understand the developmental contexts and processes of this increasingly diverse and fastest growing segment of U.S. child population.To inform the decisions of early childhood practitioners serving young DLLs, our team conducted an evaluation of early childhood assessments—purpose, developmental appropriateness, psychometric properties, and relevance—being considered for use in Head Start classrooms in Florida. This also resulted in a chapter in an edited volume, Handbook of Early Literacy Research (Snow & Oh, 2010), articulating key considerations when assessing developmental outcomes of young DLLs and future research priorities. In a complementary line of research, her work is dedicated to expanding the notion of DLLs beyond their language background and literacy skills. Most DLLs are ethnically and culturally diverse immigrant-origin children and their families are more likely to experience intersecting inequalities (i.e., poverty, newcomer status, racialization as a visible minority, low-wage employment, language barriers, and undocumented status). A recent publication examined the developmental effects of contemporary immigration policies on children’s development and family processes (Park & Yoshikawa, 2017). Additionally she has conducted a systematic review of current evidence base on the effects of parents’ undocumented status on parenting and children’s cognitive, educational, socio-emotional, behavioral and health outcomes. The role of parenting and families present promising policy levers (or family-level mediators) yet early childhood quality improvement efforts center much less on the role of families and communities. To this effort, Dr. Park examines parental investment in early learning and family context of early childhood development with a particular attention to race, ethnicity, culture, and immigration. In particular she is interested in meaingful yet understudied ways in which non-dominant families support their young children's learning at home. Dr. Park is desining a new empirical work (Project ELL) that draws on the Community Cultural Wealth framework to investigate how immigrant families shape the early language exposure and literacy development of their children. By examining how families empower their DLL children to engage in transculturation (i.e., merging and converging cultures) and translanguaging practices, I hope to generate new insights for practitioners to transform inequitable practices in schools. During her tenure on the Editorial Board for the Harvard Educational Review, she has chaired a special issue, Immigration, Youth and Education (Fall, 2011) and co-edited a book, Education for a Multicultural Society (2011). Exploring the intersection of developmental psychology and public policy, she co-authored chapters for the volumes Handbook of Early Childhood Development Programs, Practices, and Policies (Wiley, 2016), The Impact of Immigration on Children’s Development (Karger, 2012), and Handbook of Early Literacy Research (Guilford, 2010). Prior to her faculty appointment at UW, Dr. Park completed a summer research fellowship at the National Research Center on Hispanic Children and Families. She holds a BA and a M.S.Ed. from the University of Pennsylvania, an Ed.M. and an Ed.D. from Harvard University. Ed.D., Human Development and Education, Harvard University, Graduate School of Education. M.Ed., Educational Policy and Management, Harvard University, Graduate School of Education. M.S.Ed., Early Elementary Education with Pennsylvania State Grades PreK-4 Teacher Certification, University of Pennsylvania, Graduate School of Education. B.A., Psychology, University of Pennsylvania. Capotosto, L., Kim, J.S., Burkhauser, M., Park, S.O., Mulimbi, B., Donaldson, M., & Kingston, H.C. (2017). Family support of third-grade reading skills, motivation, and habits. AERA Open, 3(3), 1-16. Park, S.O., & Yoshikawa, H. (2017). Contemporary immigration policy and early childhood development. In E. Votruba-Drzal and E. Dearing (Eds. ), Handbook of Early Childhood Development Programs, Practices, and Policies. Hoboken, NJ: John Wiley & Sons, Inc.
Oh, S.S., & Yoshikawa, H. (2016). Contemporary immigration policy and early childhood development. In E. Votruba-Drzal and E. Dearing (Eds. ), Handbook of Early Childhood Development Programs, Practices, and Policies. Hoboken, NJ: John Wiley & Sons, Inc.
Warren, M.R., Park, S.O., & Tieken, M.C. (2016). The formation of community engaged scholars advancing equitable policy and practice: A collaborative approach to doctoral training in educational research. Harvard Educational Review, 86(4). Schindler, H.S., Kholoptseva, J., Oh, S.S., Yoshikawa, H., Shonkoff, J.P., Duncan, G.J., & Magnuson, K. (2015). Maximizing the potential of early childhood education to prevent externalizing behavior problems: A meta-analysis. Journal of School Psychology, 53(3), 243-263. Britto, P.R., Yoshikawa, H., Ponguta, L. A., Reyes, M., Oh, S.S., Dimaya, R., Nieto, A.M., & Seder, R. (2014). Strengthening systems for integrated early childhood development services: Cross-national analyses of governance. Annals of the New York Academy of Sciences, 1308, 245-255. A special issue on Integrated Interventions in Child Development and Nutrition, guest editors M. M. Black and K. Dewey. Oh, S.S. & Yoshikawa, H. (2012). Examining spiritual capital and acculturation across ecological settings: Developmental implications for children and youth in diverse immigrant families. In Garcia Coll, C. (Ed. ), Contributions to Human Development Vol. 24: The Impact of Immigration on Children’s Development (pp. 77-98). Basel, Switzerland: S. Karger AG. Oh, S.S., & Cooc, N. (Special Issue Editors) (2011). Immigration, youth, and education. Harvard Educational Review, 81(3). Oh, S.S., & Cooc, N. (2011). Immigration, Youth and Education: Editors’ Introduction. Harvard Educational Review, 81(3), 397-407. Snow, C.E., & Oh, S.S. (2010). Assessment in early literacy research. In S. B. Neuman and D. K. Dickinson (Eds. ), Handbook of Early Literacy Research. (Vol. 3, pp. 375-395). New York: Guilford Press. Park, S.O. (2017). Lifting Up Children of Immigrants. EduTalks: Raise Washington. Early Achievers Institute (with Child Care Aware of Washington and WA State Department of Early Learning). Spokane, WA, October 20. Park, S.O. (2017). Early childhood development and parental investment among low-income, ethnically diverse families. University of Washington West Coast Poverty Center, Seattle, WA, January 23. Park, S.O. (2016). The evidence base linking parents’ unauthorized immigration status and developmental consequences for their children. Research and Evaluation Conference on Self-Sufficiency (RECS), Office of Planning, Research, and Evaluation (OPRE) in the Administration for Children and Families (ACF), Washington DC, June 1-3. Oh, S.S. (2011). Writing Quantitative Research Report as a Three-Course Meal: How to Interpret & Present Statistical Results Accurately, Effectively, and Meaningfully. Graduate-level Course S-012 Empirical Methods: Introduction to Statistics for Research, Harvard GSE, Cambridge, MA, December 6. Oh, S.S. (Chair & Moderator) (2011). A Shadow Population: Immigration Enforcement, Child Development, & America’s Future. With the panelists: Ajay Chaudry, Luis Argueta, and Hirokazu Yoshikawa, Sponsored by the Harvard Weatherhead Center for International Affairs and David Rockefeller Center for Latin American Studies, Harvard University, Cambridge, MA, September 28. Oh, S.S. (2011). Understanding Early Childhood Systems in Developing Countries. Early Childhood Education and Health, Yale School of Public Health, New Haven, CT, April 14. Oh, S.S., & Yoshikawa, H. (2010). A Multisectoral Early Childhood Policy in Cambodia: An Analysis of Linkages Across Early Childhood Development Systems. Graduate-level Course H-265 Early Childhood Settings: Understanding, Observing, and Studying Quality, Harvard GSE, Cambridge, MA, November 9. Oh, S.S. & Wood, J. (2010). Implementing PreK-3 Early Literacy Intervention Across Home and School: Closing the Early Literacy Proficiency Gap. Massachusetts Department of Early Education and Care and Department of Elementary and Secondary Education, Marlborough, MA, March 3. Oh, S.S. (2007). Understanding and Improving Quality in Early Childhood Education: Teacher-Child Interactions. Charis National Academy, Malang, East Java, Indonesia, August 15. ECFS 315 Parenting and Child Development: Socioeconomic and Cultural Influences in the Earliest Year of Life (Winter). EDPSY 582 Parenting and Early Learning (Winter). ECFS 410 Early Language and Literacy Development (Fall). ECFS 401 Research Methods in Early Childhood and Family Studies (Fall).